8% DISCOUNT FOR EARLY BOOKING BEFORE 31st OF DESEMBER 2017 FOR THE PERIOD FROM 30 JUNE TO 25 AUGUST 2018. It lies in the heart of the Maremma area, 5 km from the enticing, crystalline waters of the sea, making this area the "pearl" of Tuscany. The estate's privileged location makes it easy for guests quickly to reach the nearby natural parks (such as the Maremma and Uccellina Parks), nature reserves (such as the Orbetello Lagoon) and WWF oases, famous for sightings of rare animals. 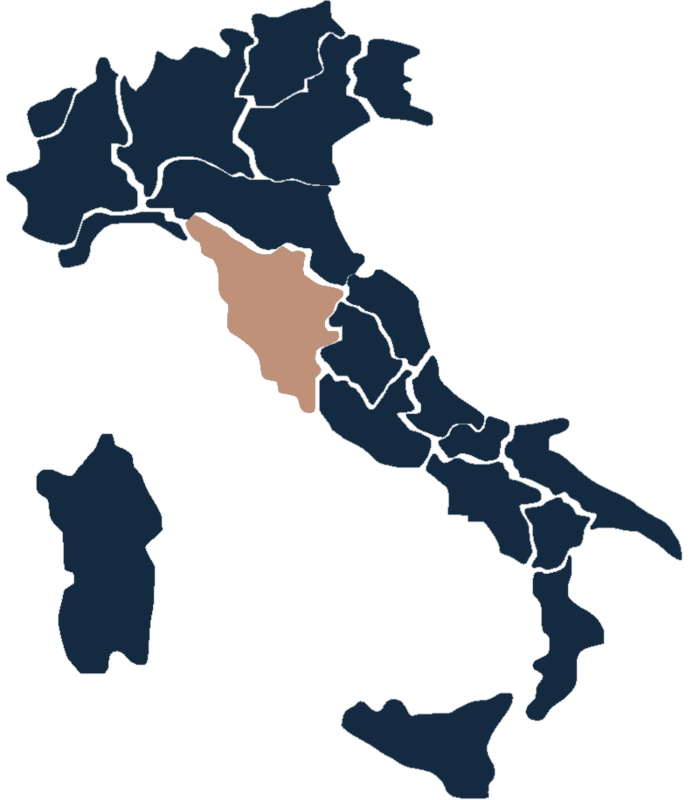 The area is uniquely rich in major archaeological sites, such as the Vulci Archaeological Park, and is endowed with marvellous museums, such as the City of Cosa Museum, alongside the excavations of the splendid Etruscan city, and the Tarquinia and Vetulonia museums. The area is only an hour's drive from Sovana. Nearby, you will find Saturnia, with its famous hot springs, and the medieval centre of Capalbio, now a jet-set holiday resort. And Rome, Siena and Florence are but an hour and a half away by car. Nearby, there are wineries producing and selling both quality red wines, such as Morellino di Scansano DOC, and elegant white wines, such as the famous Vermentino DOC from Capalbio. The winery owners are always pleased to offer tastings of the wines they so expertly produce from their famous vineyards. Ground floor:Entrance, Living room with TV satelite, Library, sofas and fireplace, Studio, Dining Room with empire mahogany dining table for 22 people. 2 double bedrooms. Bedrooms Azzurra and Rosa. First floor:5 double bedrooms all with ensuite bathrooms.Bedrooms, Viola, Bianca, Verde, Marilli and Pavoni. Bedroom Azzurra Master bedroom with a double bed and an ensuite bathroom. Bathtube and large shower, hair dryers. Bedroom Rosa Master bedroom with a double bed and an ensuite bathroom. Bathtube and large shower, hair dryers. The bed can on request be divided into twin beds. Bedroom Viola Master bedroom with a double bed and an ensuite bathroom. Bathtube and large shower, hair dryers. Bedroom Bianca Master bedroom with a double bed and a single bed, an ensuite bathroom. Bathtube and large shower, hair dryers. Bedroom Verde Master bedroom with a double bed and an ensuite bathroom. Bathtube and large shower, hair dryers. Bedrooom Marilli Master bedroom with a double bed and an ensuite bathroom. Bathtube and large shower, hair dryers. The bed can on request be divided into twin beds. Bedroom Pavone Bedroom with a double bedroom. The size of the room is smaller and the bathroom ensuite has the shower only. Kithchen 5 burner gas stove, 1 electric oven large 90cm, 1 microwave oven, 1 american coffee machine , 1 Italian espresso/cappuccino coffee machine, dishwasher, freezer, fridge, iron with ironing board. Internett Wireless use of 10/GB weekly. Water Use of 6000 liter weekly free of charge. Use of extra € 7,45/ m3 to pay localy. Electricity 100 kW per week free of chacrge. Use of extra to be pay on arrival € 0,80 / kWh.